The article was first published in Global Tax Weekly, issue 160. Below is the full text of the fourth article in the series on US taxes for US persons living outside the US. This is the fourth article in a series of articles on key US tax compliance and planning issues that should be considered by US executives, entrepreneurs and investors living outside the United States. This article provides an overview of Foreign Tax Credits for US companies. Foreign tax credit reporting is particularly important for US companies. US companies with operations abroad routinely create foreign entities in those countries to carry out the operations. For US tax purposes, the foreign entity will be classified as a corporation, partnership or disregarded entity based on default classification rules. With the exception of certain per se corporations, the US taxpayer can elect the US tax classification of the foreign entity. 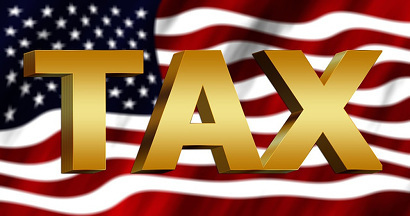 The US tax classification of a foreign entity is important for tax credit planning as foreign tax credits will flow through to the US owners of foreign partnerships and disregarded entities, whereas, generally, foreign tax credits do not flow through to the US owners of foreign corporations. A US company operating in a foreign country through an entity classified as a partnership will be allocated its pro rata share of foreign tax credits to offset US taxation on the US company’s pro rata share of foreign source income. In determining the separate basket limitations, a partner allocates its distributive share of partnership income between general category income and passive category income based on the character of the income at the partnership level. Foreign tax credit planning for US companies operating in foreign countries through foreign subsidiary corporations is more complex than the rules for a pass-through entity. US corporations normally cannot claim a dividend received deduction on a dividend received from a foreign corporation. A US corporation therefore generally must recognize the entire amount of a dividend from a foreign subsidiary as US taxable income. The reason the rule diverges from a dividend between a US parent and US subsidiary corporation is that the dividend distribution from the foreign corporation is the first chance the US has to tax the profits of the foreign subsidiary, whereas the US subsidiary is subject to US taxation on its worldwide income. 5 Foreign countries usually impose a withholding tax on dividends of a foreign corporation paid to a US shareholder. If the US has a tax treaty with this country, the withholding tax in that country is usually reduced to 15 percent and to 10 percent for controlling shareholders. Under the Internal Revenue Code, a US taxpayer can claim a foreign tax credit for any foreign withholding tax incurred on a dividend from a foreign corporation. A US corporation with foreign subsidiaries is eligible to claim deemed paid foreign tax credits if it owns 10 percent or more of the voting stock of a foreign corporation and receives a dividend distribution from that foreign corporation. The deemed paid foreign tax credit is allowed to protect US corporations from double taxation and to closer equate the tax treatment of US corporations with foreign subsidiaries with those operating through foreign partnerships or disregarded entities. This allows US corporations to choose to operate through a foreign corporation or foreign partnership/foreign disregarded entity on a legal basis as opposed to US tax consequences. Since a US corporation generally does not recognize income from a foreign corporation until there is a distribution, the deemed paid foreign tax credit could allow a US corporation to recognize a foreign tax credit prior to the related income being taken into account. To prevent this tax credit and income matching issue, there are now provisions requiring the related foreign income recognition as a prerequisite to receiving the deemed foreign tax credit. Another issue that arises with the deemed foreign tax credit is in determining whether a US corporation is taxable on a distribution from a foreign corporation as a dividend, the foreign corporation’s earnings and profits is reduced by foreign taxes paid. As a brief background, US taxpayers are subject to tax on dividends from a foreign corporation to the extent of the distributing corporation’s earnings and profits. If a distribution exceeds the distributing corporation’s earnings and profits, the distribution is a tax-free return of capital to the extent of the US taxpayer’s basis in the stock of the foreign corporation. If the distribution exceeds the US taxpayers’ basis in the stock of the foreign corporation, the distribution is taxed as a long-term capital gain. The issue that arises with the deemed foreign tax credit is that the US corporation would receive the foreign tax credit while the earnings and profits, which determine whether the distribution from the foreign corporation is taxable as a dividend to the US taxpayer, is reduced by the same foreign taxes paid by the foreign corporation. To prevent this double tax benefit of both a deemed foreign tax credit and deduction from earnings and profits in the same amount, the US corporation must gross up its dividend by the amount of the deemed paid tax credit. Another complication of the deemed paid credit and the matching of income and taxes requirement is allocating deemed paid taxes to dividend distributions. If the foreign corporation simply paid all of its earnings out every year, the allocation of deemed paid credits would not be an issue. 6 In contrast, where a foreign corporation accumulates earnings over a number of years, the allocation of deemed paid taxes is more important. The allocation of deemed paid credits is more significant where the tax rate in the foreign country increases or decreases during the period the foreign corporation accumulated earnings. Under the old rule, a US corporation allocated deemed foreign tax credits on a last in, first out basis. Congress felt the last in, first out method allowed bunching of income of the foreign corporation income and in turn allowed US corporations an opportunity to maximize their deemed paid credits. For post-1986 foreign income taxes, the pooling method is required to allocate deemed paid foreign tax credits. Under the pooling method, post-1986 undistributed earnings of a foreign corporation are computed at the end of the taxable year in which the foreign corporation makes a distribution to a US corporation. The post-1986 undistributed earnings equal the aggregate amount of the foreign corporation’s undistributed earnings and profits for taxable years commencing after December 31, 1986. This amount is reduced by actual dividend distributions from prior taxable years and for any Subpart F Income1 previously included in the US corporation’s income. The foreign corporation’s post-1986 income taxes for the deemed paid taxes equal the aggregate amount of the foreign corporation’s foreign income taxes for taxable years starting after December 31, 1986. This amount is reduced by the amount of foreign income taxes related to prior year dividend distributions and Subpart F inclusion. Under the pooling method, the foreign corporation’s post-1986 foreign income taxes are multiplied by the ratio of the current year dividend to the foreign corporation’s post-1986 undistributed earnings. As compared to the last in, first out method, the pooling method evenly allocates the post-1986 foreign corporation’s income taxes in proportion to the post-1986 undistributed earnings. Since the foreign tax credit is the primary vehicle for US Persons and US companies to avoid double taxation of foreign source income, proper planning for the foreign tax credit and dividend repatriation is critical. It will be important for the US taxpayer to look for opportunities to reduce and eliminate excess foreign tax credits carryovers. For the US corporation, it will be important to strategize for tax-efficient dividend repatriation from foreign corporation subsidiaries. A US taxpayer can reduce foreign tax credit carryovers by increasing the proportion of worldwide income allocated to either of the separate categories of income limitation. Since the foreign tax credit is computed in part based on the percentage of separate category compared to worldwide income, increasing the income in the foreign source separate category income will increase the foreign tax credits allowed for that category. For a US company, one opportunity to increase the foreign source income to a separate category can be determining where title to goods pass for international sales. Arranging for passage of title in the foreign country will increase the foreign source income and increase 7 the allowable foreign tax credits. Likewise, another planning opportunity is to look at opportunities to source deductions to the US as opposed to the foreign country, which in turn reduces overall US source income and increases overall foreign source income leading to a larger foreign tax credit. It is important that the planning for the sourcing of income and deductions is reviewed both from a US tax perspective and for the tax imposed in the foreign country. For example, the US taxpayer would not want the net effect being the income taxes in the foreign country increasing by more than the reduction in income taxes in the US. Cross-crediting is still an effective means to reduce excess foreign tax credits even with the separate baskets of passive and general category limitations. Cross-crediting is the process of averaging foreign income taxed at higher rates than in the US with foreign income taxed at lower rates than in the US. This strategy was more effective prior to the separate category limitations; however, it still remains a prevalent planning opportunity with the current passive and general category limitations. A US taxpayer usually receives no advantage of income being taxed at lower rates than the US because the difference between the foreign tax rate and the US tax rate will be collected in the US. Therefore, the opportunity to cross-credit between highly taxed foreign source income and lightly taxed foreign source income provides an opportunity to increase the foreign tax credits within a limitation category, reducing foreign tax credit carryforwards, and reducing the US income tax liability. Similarly for dividend repatriation, it is important to look at tax-efficient ways to repatriate dividends from foreign corporations. Again, cross-crediting provides an opportunity where foreign tax credits from heavily taxed foreign jurisdictions can be used to shelter residual US tax due on dividends from lightly taxed jurisdictions. Another strategy is claiming reduced withholding tax rates through a foreign country with a favorable income tax treaty with the US. Alternatives to dividends should also be considered to repatriate earnings to the US, for example, through interest, rent, management fees, etc. ; there are many opportunities to repatriate funds other than through dividend payments. The foreign tax credit is extremely important for US taxpayers in avoiding double taxation of foreign source income and controlling global effective tax rate management. While the concept is simple, there are a number of rules and exceptions that make the computation of the foreign tax credit complex. Proper planning for the foreign tax credit is important for US taxpayers with foreign source income in order to avoid double taxation and efficiently manage their worldwide tax liability. 1 The term “Subpart F Income” refers to a specific type of foreign source income that is currently taxable in the US. The term will be addressed in future articles.